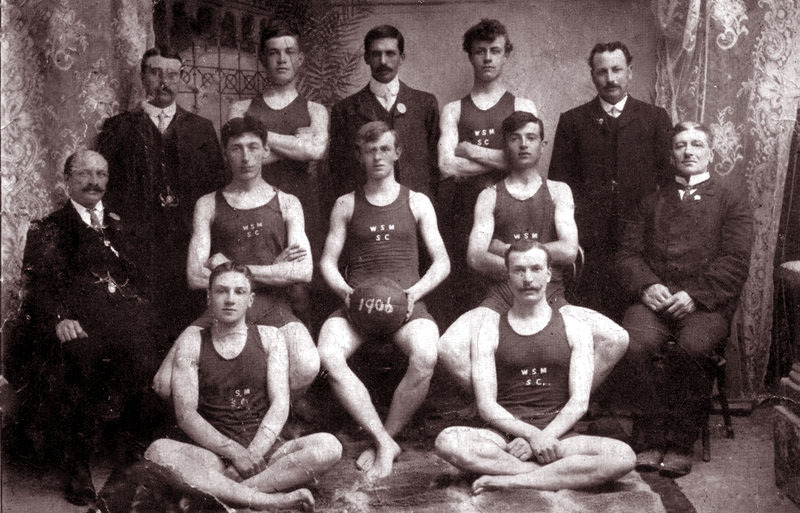 The team of Weston-super-Mare in 1906. Back row: F.Harris. A.Poole, H.Collins, S.Cottell, F.Banwell. Middle row: J.Rowsell, A.Webb.A.G.Payne (captain), W.Bishop, T.Thould senior. Front row: P.Holway, D.Clark (vice captain).